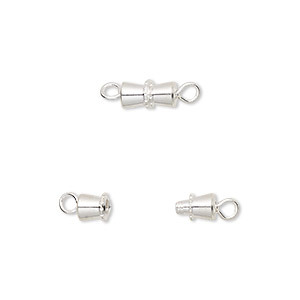 Clasp, barrel, silver-plated brass, 10x5mm. Sold per pkg of 10. 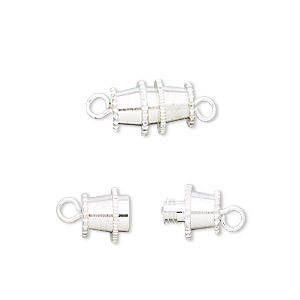 Item Number: H20-1437FX Have a question about this item? 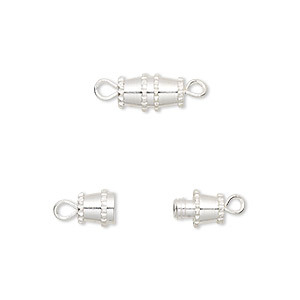 Silver-plated screw-type clasps are ideal for most necklace designs. 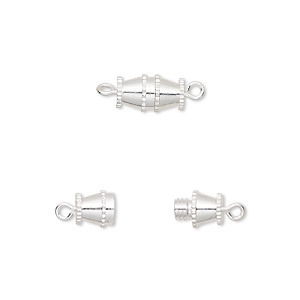 Clasp, barrel, silver-plated brass, 10x5mm. 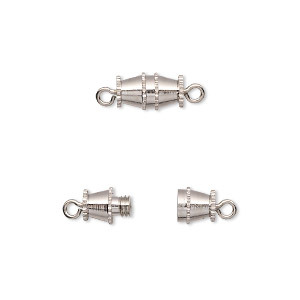 Sold per pkg of 480. 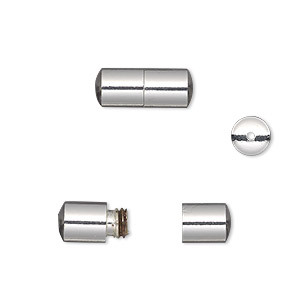 Clasp, barrel, silver-plated brass, 10x5mm. Sold per pkg of 100. 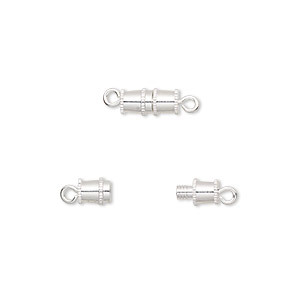 Clasp, barrel, imitation nickel-plated brass, 10x5mm. Sold per pkg of 100. 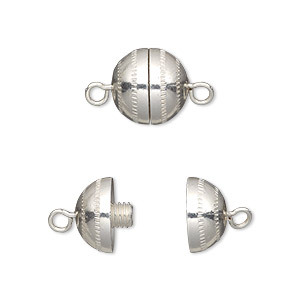 Clasp, barrel, silver-plated brass, 10x5mm. Sold per pkg of 500.